When divorcing parties have minor children, the parents may want to consider what could happen if either parent dies before their children become adults.. While this is a very unsettling topic to consider, it is important and necessary to think about and include specific language in your agreement so as to protect your minor children. It is common for the court to grant an order and/or for parents to agree to require the parents to keep in effect or to obtain a life insurance policy, naming the minor children as the sole beneficiaries. This policy would essentially cover the remainder of the “child support” should a parent pass away and certainly would provide more financial stability for the child’s benefit. The court can also order that if a parent does not follow this order, (for example, changes the beneficiary on the life insurance policy or cancels the life insurance policy altogether), then the policy amount must be paid to the minor children from the deceased parent’s estate. However, the problem with this remedy for violating such an order of the court has recently been addressed by the Wisconsin Supreme Court. Recently, the Circuit Court in Waukesha County addressed this issue when a parent passed away shortly after the date of divorce. 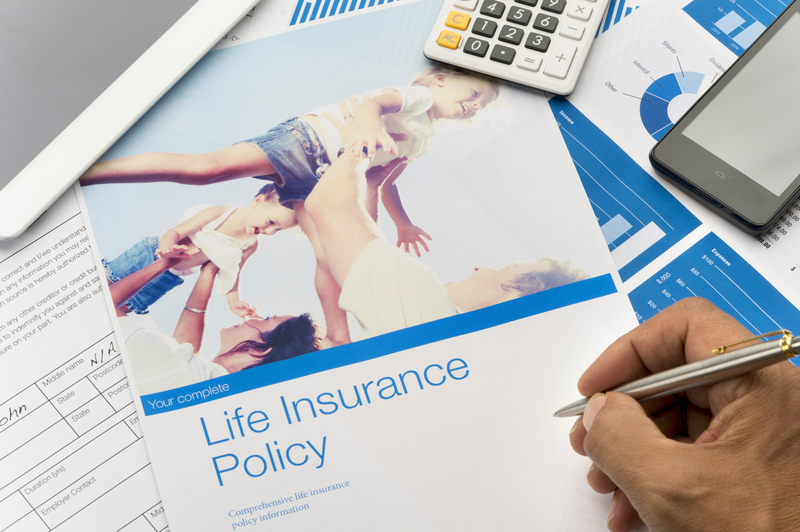 The father was to name his children as the beneficiaries on his life insurance policy, with the value of $250,000, pursuant to the Marital Settlement Agreement, but instead he changed the beneficiary to his new spouse. Upon his death, the new spouse received the $250,000 life insurance payout, not his minor children. Based upon the parties’ Marital Settlement Agreement, the court could force the parent’s estate to pay the $250,000, but the parent’s estate only had $5,600 in it. Obviously, this was a significant shortfall and unfair to the parties’ children. The Circuit Court acknowledges that this was a “raw deal” for the children, but believed that there was no other option but to seek compensation from the deficient estate because of the language of the Marital Settlement Agreement. The Court of Appeals, however, determined that the Circuit Court’s decision was in error because family court is a court of equity, and such an outcome unjustly enriched the new spouse to the detriment of the minor children and was in violation of the Marital Settlement Agreement.. The Court of Appeals overturned the Circuit Court, and ordered that the $250,000 be placed in a constructive trust for the minor children. While this result is what the parties originally agreed to in their Marital Settlement Agreement, it was very costly and time consuming to get to this end result and protect the children in the case. One way to avoid this issue is to include very specific language in a Marital Settlement Agreement to account for this situation and specifically include language allowing for a constructive trust as a remedy. It is difficult to discuss topics like death during a divorce. Unfortunately, these considerations are necessary, even during a stressful divorce, in order to best protect your minor children and to avoid an unnecessary court battle in the event that children suffer the loss of a parent. It is important to retain an experienced family law attorney to assist you through this process and to be aware of the changing law in this field. If you are in the process of a divorce and wish to protect your children’s future support, please call our office at (414) 258-1644 to schedule a free initial consultation with one of our family law attorneys to discuss your case. I have to wonder about a life insurance policy on a parent who is delinquent on child support payments. If a non-custodial parent is $60.000. behind in child support payments, would a judge allow for a life insurance policy? The child is now 19 and the non-custodial parent has never been current on support payments. As a matter of fact, the only time he seems to make his payments is when he is under supervision by probation and parole, then he works long enough to collect unemployment benefits and then quits or gets fired. It’s a vicious cycle. Unfortunately, I don’t think the court has the ability to order that life insurance beneficiary anymore as the child is no longer under the jurisdiction of the court. Perhaps as a purge on a contempt, the court might be willing to order that as a remedy. However, there is another remedy. Once the child reaches the age of majority, the court can convert the child support arrears to an actual judgment which can be docketed. This may give you additional collection options such as a lien against property or garnishment of a bank account. You should consult with an experienced family law attorney in order to discuss all of your options.